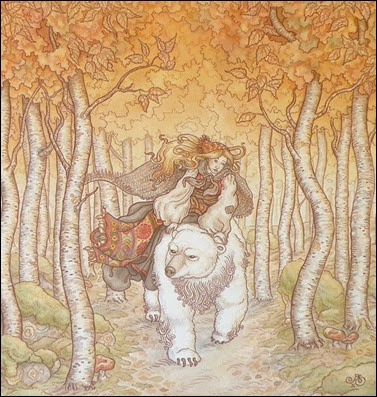 Today I'm sharing art from the Norwegian fairy tale "East of the Sun and West of the Moon". 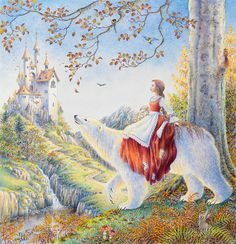 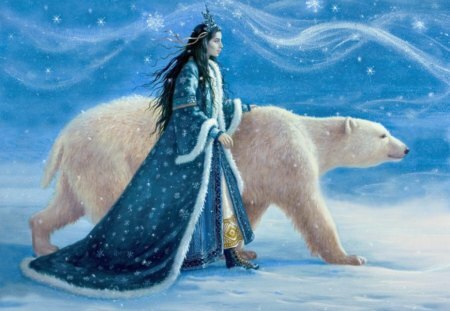 My focus today is on images of the princess with the Polar Bear King. 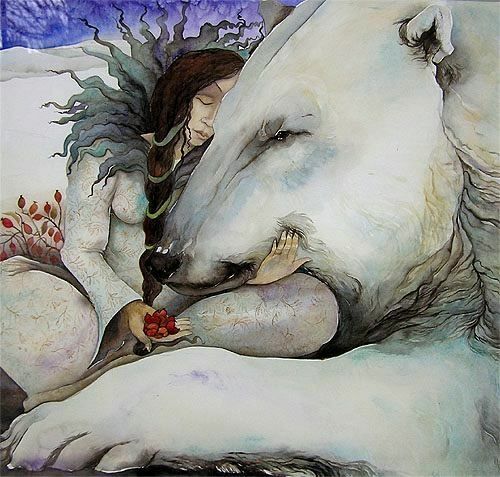 If you'd like to read more about this story, click here to read a summary by Genevieve Valentine. 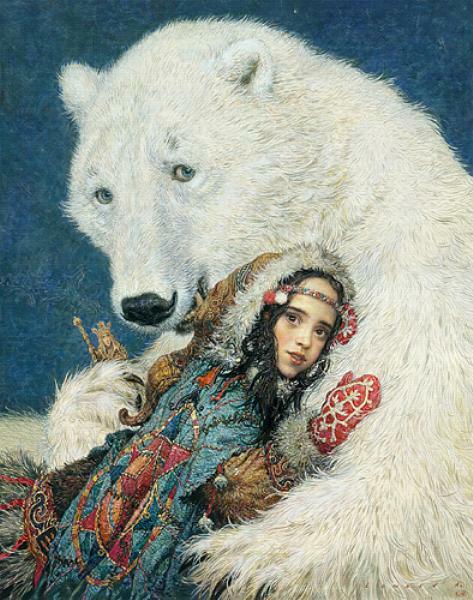 Anton Lomaev's cover art for an early addition of Edith Pattou's "La Figlia del Nor". 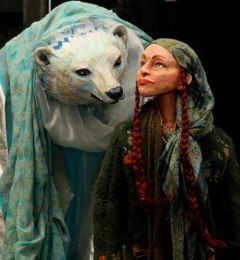 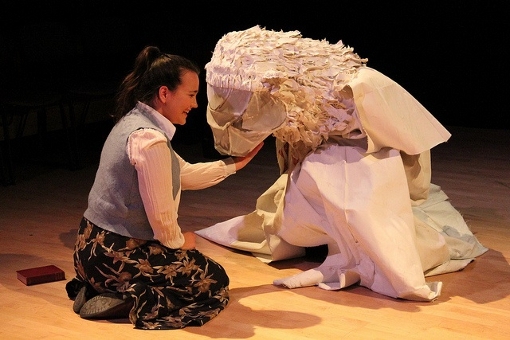 from the Fetch Puppet Theater production of "East of the Sun" during Prague Fringe Fest.